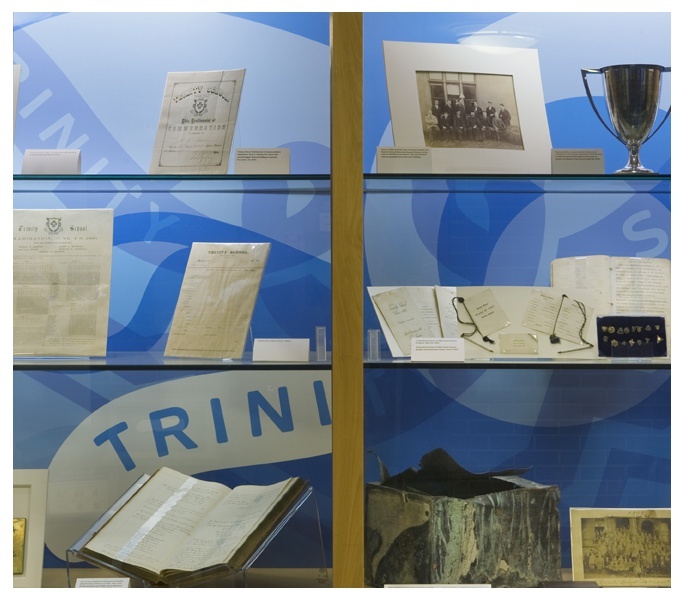 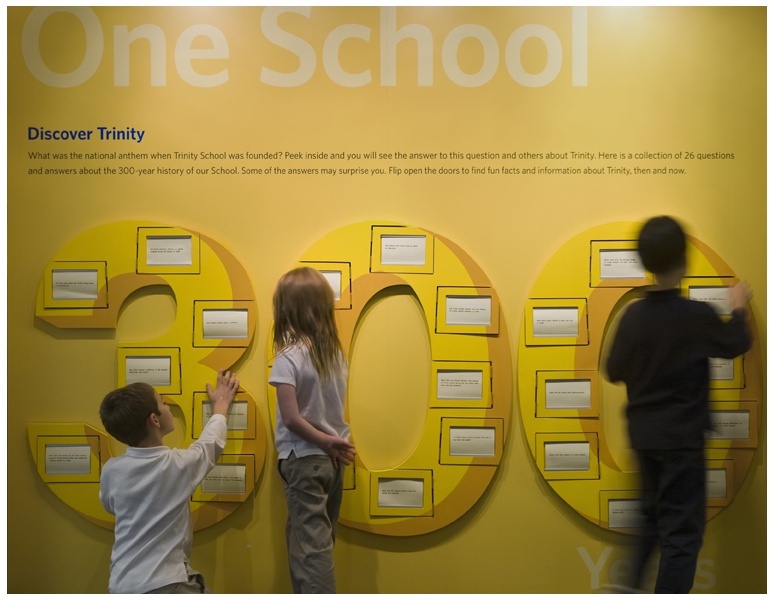 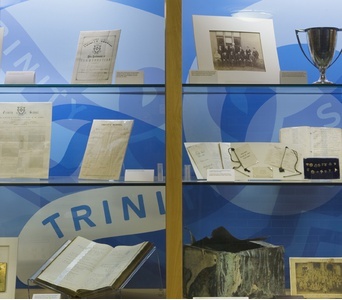 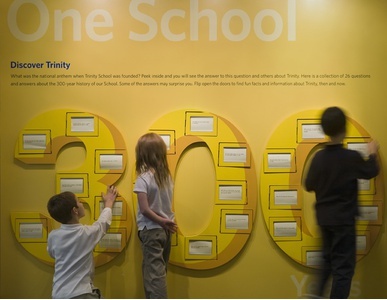 Trinity 300 is an exhibition for the 300th anniversary of Trinity School, the notable private school in New York City. 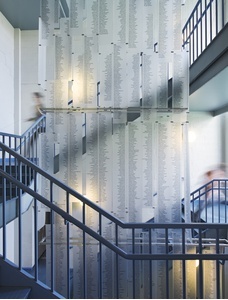 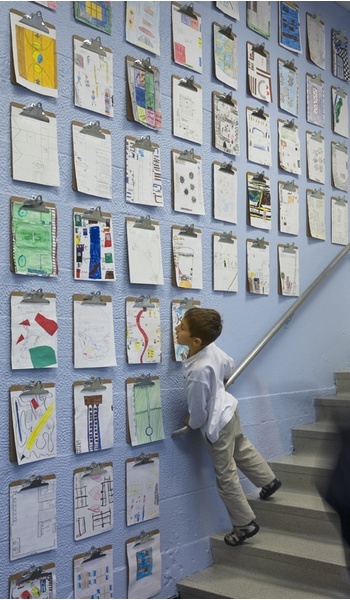 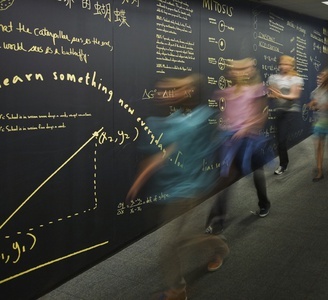 Rather than follow a typical approach, C&G Partners created a series of site-specific installations to showcase the school’s legacy in unexpected ways.In order to make the most of the school's intricate urban campus, the firm distributed all of the exhibits into architectural spaces throughout the facility, tying the school’s history of achievement and excellence to the building itself. 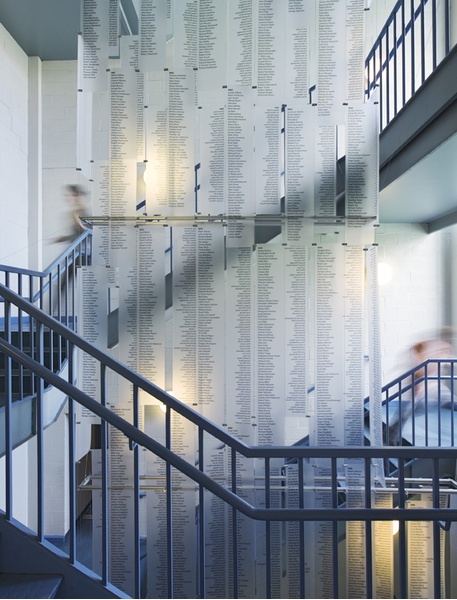 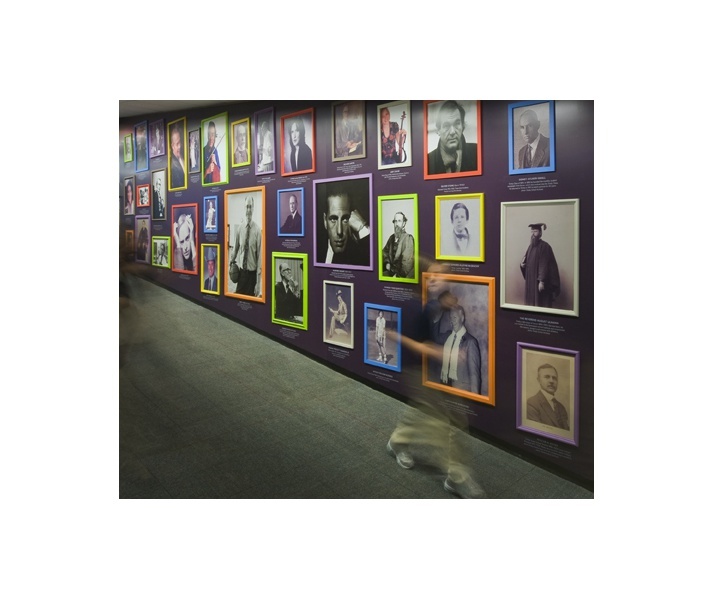 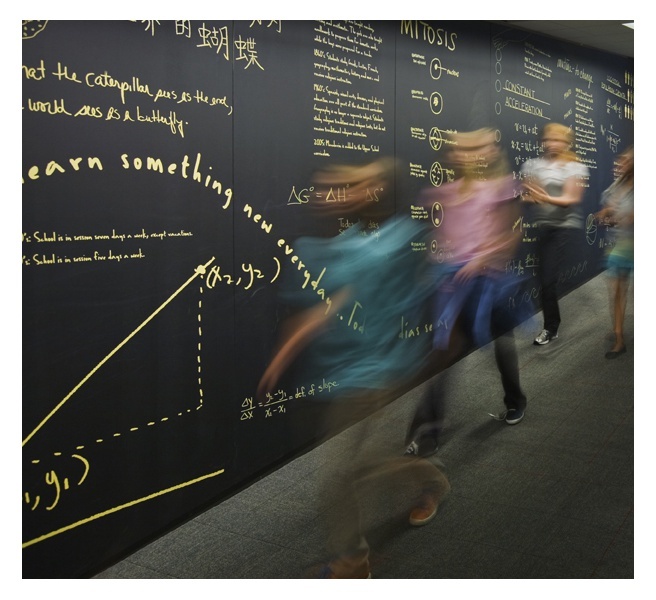 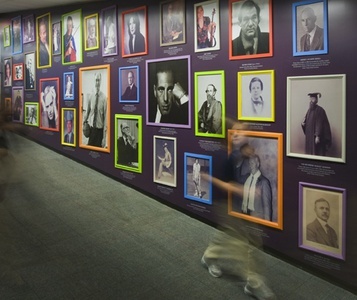 Hallways, stairwells, and library nooks are animated by historical facts, notable figures, and inspirational quotes to bring the school’s story to life and to remind students, teachers, and alumni that they, too, are part of this ongoing story. 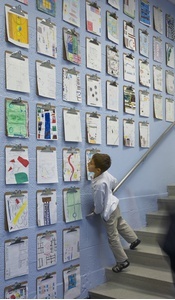 The resulting school-wide concept united the various buildings and spaces visually for the first time.